If you or your little one love hockey – you will love this Inflatable Hockey Stick. This item is an Officially Licensed NHL item. The vinyl is really thick and is constructed very well. 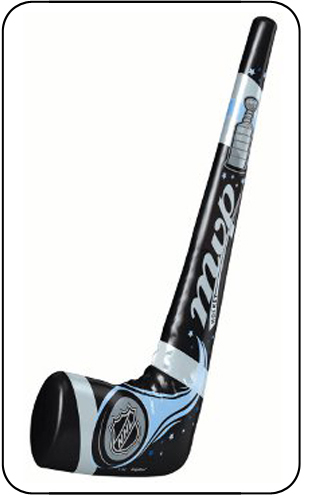 This inflatable Hockey Sticks measures (25”) long and can be used indoors or outdoors. Hockey Stick features the NHL logo, Stanley Cup logo and “MVP”. Stick colors are black, white, gray, light blue. When inflated little ones can easily hold this Hockey Stick like a player. Hockey Stick looks amazing and like the real-deal!